Nothing like the sound and the all to uncommon sight of a male Audobons Warbler on a cool overcast afternoon. All to often this bird spends most of its time up high in the canopy of the spruce trees in our area so it was nice to see him down low that afternoon. Nothing short of exquisite here, Mike. 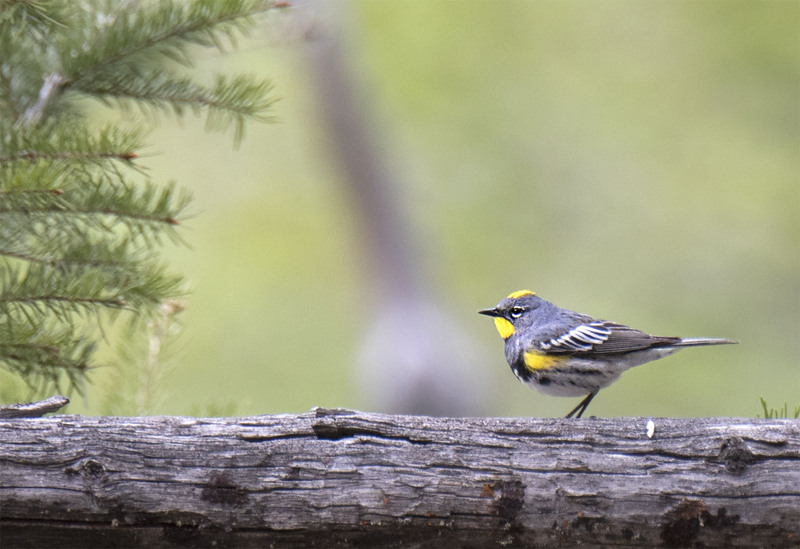 Always lovely to see a yellow-rumped warbler, and both photos highlight the cheerful bright colors and markings. Love seeing him next to the newly-unfurled leaves. Thanks for sharing the brightness. Hi Jet and thanks for the thoughtful feedback. We also found it a treat to see him with those fresh spring leaves. 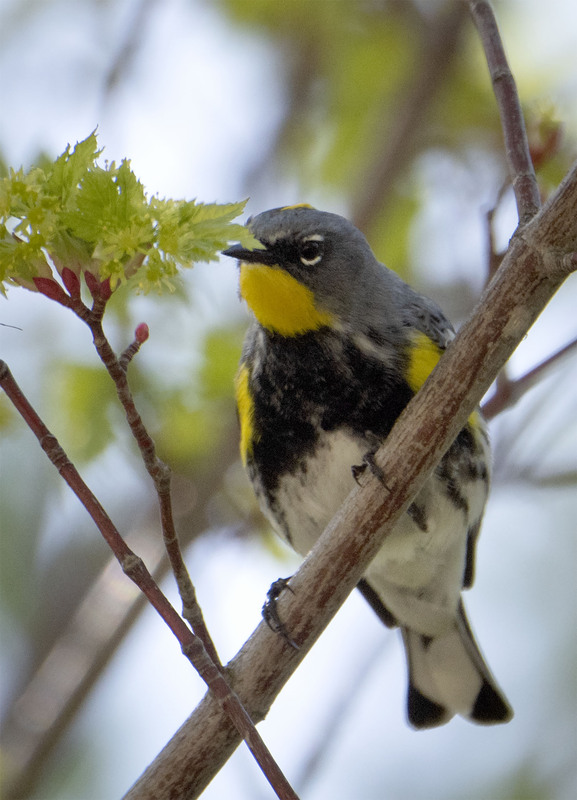 Spring is the time for Warblers to Warble so t speak and this gentlemen Warbled well that day. We agree with that and wish we saw him as often as we hear him. Nice for us too. You have done him proud. Thanks. He actually did all the work.